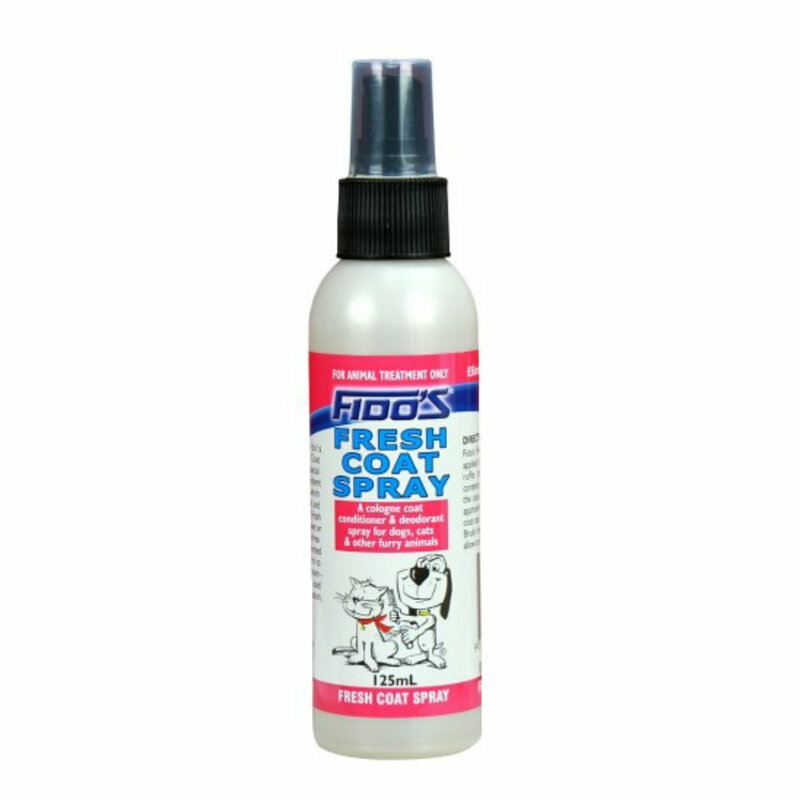 A Cologne coat conditioner and deodorant spray for dogs, cats and other furry animals. 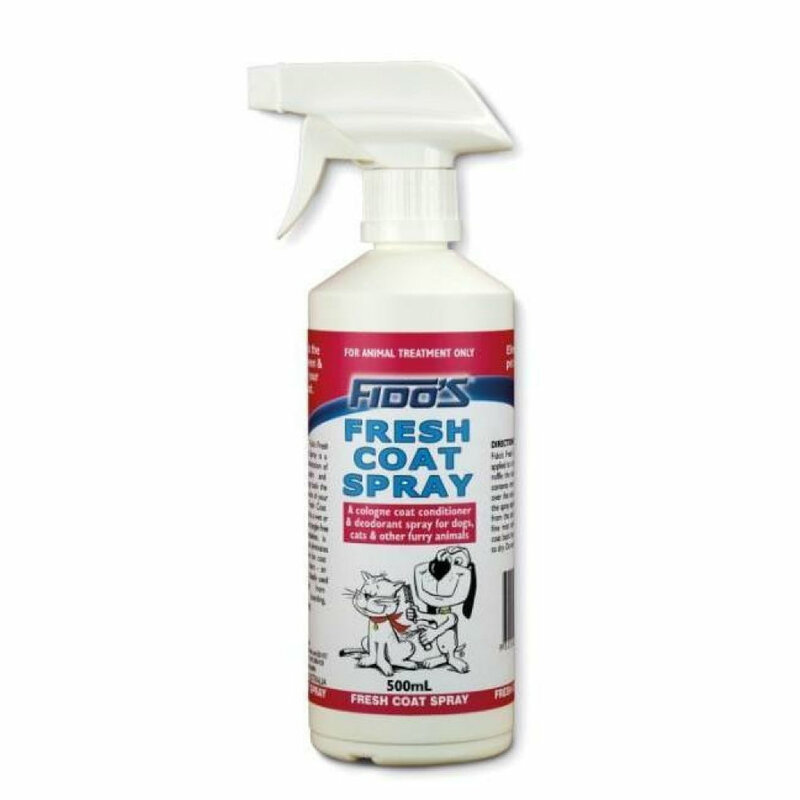 Fido's Fresh Coat Spray is a special combination of absorbent lanolin and silicone, which brings back the natural sheen and lustre of your pet's coat. Fresh Coat Spray may be applied to a wet or dry coat and will assist in tangle-free brushing. It is greasless, is absorbed quickly and eliminates pet odours to leave the coat smelling fresh for hours - an effective deodorant. Used commonly before discharge from boarding, grooming and showing.